During the 'Great Terror' or 'Great Purge' in Joseph Stalin's Soviet Union between 1936 and 1938, an estimated 600,000 up to a million or more people died at the hands of the Stalin-led Soviet government purge of opposition. Using mobile gas vans throughout the city of Moscow to execute people without trial, the witch hunts that went on less than 100 years ago ensnared hundreds of thousands of innocent victims, accused of various vague and unproven 'political crimes', who were then quickly executed or sent off to Gulags. 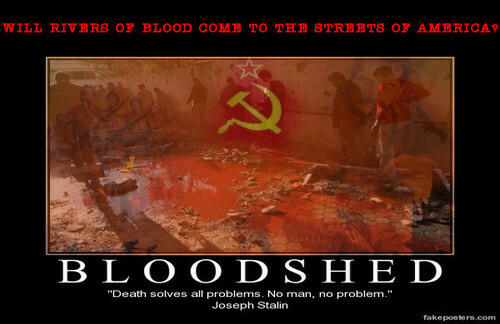 As Wikipedia reports, many of those victims sent off to the Gulags also died within those 'camps' from starvation and disease and while Stalin's purge was several generations removed from 2018, President Ronald Reagan's former Assistant Secretary to the Treasury Paul Craig Roberts recently warned of a similar such purge happening right here in America. While Roberts claims that 2018 will be a defining year for America, his must-read warning also brings Stalin's purge to the forefront and compares 'the great terror' of the 1930's to what we've been watching unfolding all across America since President Trump got into office, attempts to stifle the free speech of Christians and Conservative Americans simply because liberals disagree with the message being spoken. Where might this war upon the freedom of Christians and Conservative to speak freely go from here? While for 8 years between 2009 and January of 2017, tens of millions of Americans really didn't like what we were watching happening to America under Barack Obama and many spoke up loudly against it, very infrequently if ever did anyone who was opposed to Obama's 'reign of terror' upon America attempt to prevent his supporters from speaking freely. Yet with President Trump in office, every day we witness attempts made by those who are opposed to him and his agenda of 'America First' trying to stop his supporters from speaking freely as heard in the 1st video below from Ben Swann and Truth in Media. Should that agenda continue to progress towards the outright banning of the 1st Amendment as 'hate speech', similar to what happened in the Soviet Union, there is likely nothing that would be able to stop the carnage in America that would be sure to follow. From antifa terrorists taking to college campuses 'en masse' to prevent Conservative speakers from speaking out (with antifa even recently calling one anti-Trump feminist a fascist for her bashing of 'contemporary feminism!) to censorship spreading across college campuses, the war upon Conservative/Christian thought is clear. From internet giants such as twitter, facebook, youtube and google creating algorithms to not only silence popular youtube figures such as Mike Adams from Natural News but completely deleting many years of hard work, work which youtube itself made plenty of money off of, the purge against Conservatives, Christians and Constitutionalists continues unabated. And while independent news websites and those being censored are fighting back by taking action as reported in this new story over at Natural News, one such action being Mike Adams himself announcing Real.Video, a person-to-person alternative to youtube and a way to fight totalitarianism and censorship, the 'stalinist purge' we've been watching unfolding from the marxist-communist left shows no signs of letting up with 'big tech' in their corner and the elections of 2018 and 2020 not too far away. As Adams also recently reported, after President Trump won the election in 2016, aided by the internet as the entire mainstream media apparatus was clearly against him, the google/youtube monster is blatantly trying to steal the 2018 election by stifling the energy of the internet which helped sweep President Trump into office. Should they be successful and find an algorithm that allows them to put 2018 in the 'D' column, does anybody think they won't use that same method to steal 2020 away from President Trump and America? 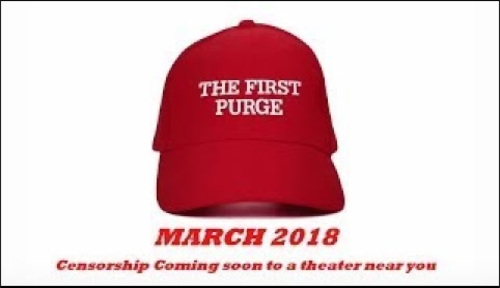 If we think that the internet purge of 2018 is bad, just imagine if they had the executive office, too. As J.D. Heyes recently reported at Natural News, the fact that 'Communist China' is now bribing universities in the US to censor certain types of speech, while urging them to promote communist ideals, is another hint at where we are going. 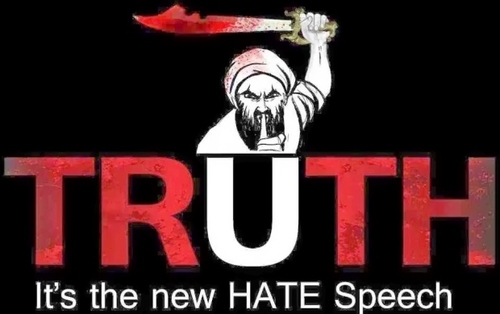 With truth truly the 'new hate speech' with those in Europe who correctly criticize Islam as being a totalitarian political philosophy, rather than a peaceful religion, being locked away for nothing but speaking truth, how long until America follows? With an attempt being made at the highest levels to take the guns of law-abiding citizens away and along with that, neuter the 2nd Amendment, should the 2nd Amendment fall, the 1st Amendment won't be too far behind it. 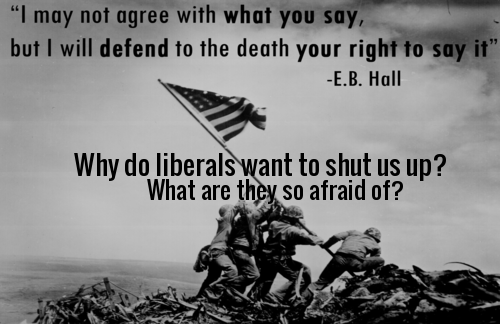 So why are liberals and big tech so afraid of Christians and Conservatives speaking their minds? As Susan Duclos reports in her new story on ANP, the left is even losing their collective minds while proving they are intolerant over a recent opinion piece in the NY Times which calls out the left for being intolerant by offering a story voicing a differing opinion to that of most lefties. And while we pray for peace here in America and hope that liberals don't outright prove themselves insane by attempting to ban the 1st or 2nd Amendments here in our country and embark upon a Stalin-esque purge against tens of millions of law-abiding American citizens, the fact that history offers us evidence that the purge in Soviet Union began with the disarming of the masses after a gun murder in the USSR tells us everything. As this Wikipedia entry for the murder of Sergey Kirov reports, Kirov's death served as one of the pretexts for Stalin's escalation of repression against dissident elements of the Party, and disarming of the Party (every Party member was issued a revolver up to that time, when Stalin had them all taken away), culminating in the Great Purge of the late 1930s in which many of the Old Bolsheviks were arrested, expelled from the party, and executed. Most believe that Kirov was murdered by Stalin. With that statement itself being another perfect reason that law-abiding American citizens should never allow themselves to be disarmed, we continue to pray for peace in the days, months and years ahead and a return to sanity in America. In the 2nd video below, the Hagmann Report is joined by Coach Dave Daubenmire and Steve Quayle in a must-watch video discussing what we're witnessing now titled "The Censorship Crucible: Some Will Survive, Some Will Not". Please support the NRA - join here!